January 8, 2018 by Laurie Leave a Comment This post may contain affiliate links, which means if you click on a link and purchase something, I may earn a small commission (at no additional cost to you.) See my disclosure policy HERE. 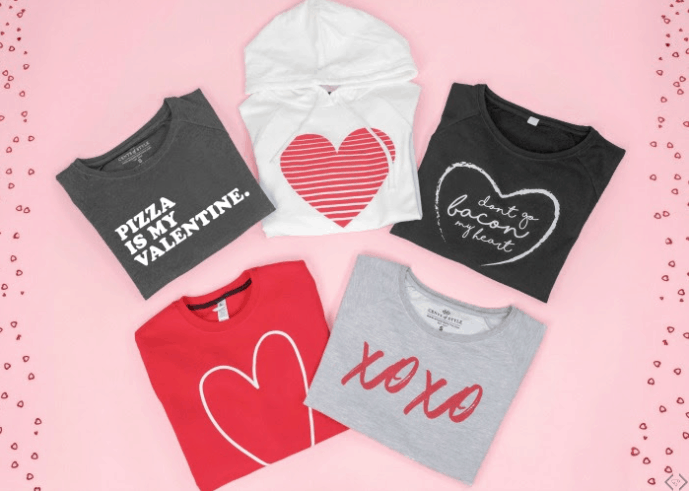 Right now Cents of Style has a bunch of their super cute Long Sleeve Valentine Tees on sale for $16.95 with the code HEARTSTYLE at checkout! And they will ship free ~ so adorable for Valentine's Day! Go HERE to check them out.